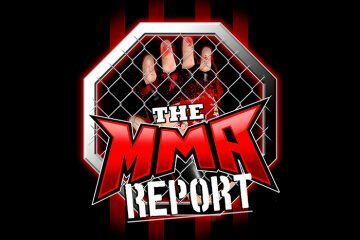 UFC 226 took place this past weekend in Las Vegas and at the beginning of this week’s podcast, Jason Floyd and Daniel Galvan recap the fight card. From Daniel Cormier claiming the heavyweight title to the disappointing matchup between Francis Ngannou and Derrick Lewis, Jason and Daniel offer up their thoughts on everything that saw happen at UFC 226. Along with recapping UFC 226, they recap The Ultimate Fighter 27 Finale and they you will fights have them interested this week at UFC Fight Night 133, Bellator 202, and Bellator 203. 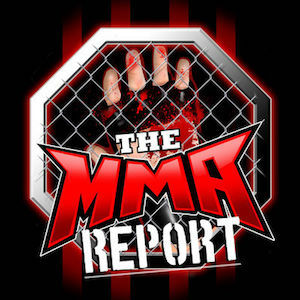 Up next on this week’s podcast is the Buy/Sell segment as the guys touch on six different MMA topics and the questions range from Kelvin Gastelum getting the next title shot in the UFC middleweight division to if Daniel Cormier will have a trilogy fight with Jon Jones. Following the Buy/Sell segment, you will hear Jason’s interviews with Bellator fighters Patricio “Pitbull” Freire, Daniel Weichel and Michael McDonald. 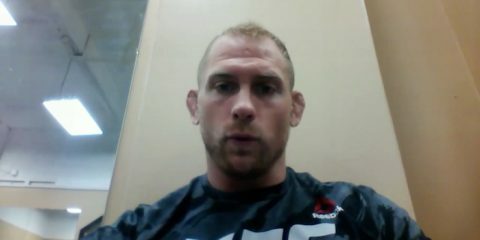 Pitbull and Weichel preview their fight in the main event of Saturday’s Bellator 203 in Italy, while McDonald talks about his fight on Friday in Oklahoma against Eduardo Dantas at Bellator 202. And in the final portion of this week’s episode, they talk about Jake Shields losing at Professional Fighters League 3 last week and how they are both enjoying the action coming out of the Professional Fighters League. Who’s more likely to re sign with Bellator, MVP or Daley? Do you think if successful, Golden boy does a 2nd MMA event? More likely to happen Bellator, Rizin, ONE, or ACB won’t be around in the next 5 years? Do you think if Brock fails another drug test, the UFC will allow him to fight in Rizin or ACB? With an agreement of him being banned from signing with Bellator. 1. Daley has stated he’s signed a new deal. Ariel said that’s not true. He said Daley has not signed a new deal. But after that he didn’t follow up on it. 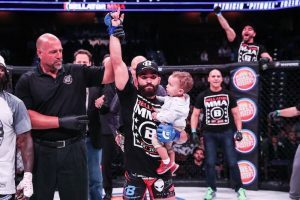 More likely, Bellator signs another top 5 fighter this year or PFL folds within the next year? Will Cain ever return and actually fight again in the UFC? What’s the hold up with the Chandler contract situation? Do you think AJ returns to the UFC and fights Jones or Volkan? 3. It’s contract talks, it takes time for an offer to come together that 2 sides can agree to. 4. Probably returns and Jones fight is more likely since he trains at same gym. When will Bellator officially stop doing tape delay? When the Dazn deal kicks off? DAZN deal starts Sept. 29. Full details will be revealed on Tuesday at a press conference in New York City. Who will be first to fold within a year, PFL or Titan? KSW, M1, Fight Nights, Cage Warriors, Bamma: Will these leagues be around in the next few years? Lesnar vs Werdum? JDS vs Barnett? Chandler vs Ferguson? Fedor vs Mitrione 2? Mo vs Davis 2? – I would say PFL more likely due to how much money it takes to run that type of promotion. – I see all of those promotions being around. ONE and PFL lost a ton of followers. I always knew they buy followers, likes and views. So do their executives. Also Titan and their executives lost basically all their followers. Actually ONE still has their bought followers. But PFL and Titan don’t. I think they will buy a ton more to make up for the lost ones. * ONE has most of their bought followers left. But I think they will soon lose half of them. People buy followers, likes, and views and lose them. Then buy them again. I prefer the old fashioned way of earning things. I have never bought followers, but Twitter Audit is a good tool to use to see how many of your followers are considered real and not fake. Ariel Helwani said Paul Daley has not re signed with Bellator. But after that he never followed up on it. Do you know what’s going on? Maybe his manager talked him out of it to go to the UFC when his contract is up. Haven’t heard anything either way. Now if Daley was available, he may have one of the best options at manager to get him back in the UFC. Askren vs Fitch? DC vs Overeem? Latifi vs Ruth? Pico vs Curran? Shogun vs Bader? Latifi vs. Ruth? Latifi is a light heavyweight and Ruth is a welterweight.